I will keep this brief. Today is a hard day for our family and for Meriem. Today was the day we chose to avoid talking about, but prepared for nonetheless. Today was the day at 6:20AM when bleary-eyed and sleep-deprived we drove to our local airport, helped her sort out the weight distribution between her checked bag and carry-on and shared one last hug and a selfie. This day, like all of the “see you laters” of student exchange, is the hardest day. I could share so much about our Moroccan daughter and all she taught us. I could tell you how we sorted through US Politics together trying to make sense of an election so many did not understand. I could tell you that we discovered there are more similarities to the Muslim and Christian faiths than there are differences. I could tell you how we shared endless laughs, dreams and stories, but all of that would be more meaningful to Meriem and our family than you. So to summarize how much this exchange experience meant to my whole family, (and to convince you, dear reader to say “yes” to your own hosting experience) I will simply share a small snippet of a letter I gave to Meriem right before she hit the TSA line. The love we have shared living and being a family for 10 months reminds me so much of the character of God. “Random” exchanges quickly evolve into “adopted sons and daughters” who fill my life with hope, love and friendship. On really bad days, when it seems like the evil of this world is winning, I only have to remember all the friends and “family” I have been blessed with all over the world, and I know love is real and conquers all. Love wins. It’s a constant comfort and makes me well up with tears just to think about it. The love I have for you is very real and I wanted to share it with you in this letter, so you will never be able to doubt it…..I learned after the death of a family member 17 years ago, a simple truth that carries me through all of the “goodbye moments” life brings. It is simple and one I want you to remember. The love a family shares is so strong that no distance will ever be too great for it. Our family’s love will keep us close and we will be ever present because we live forever in each other’s thoughts, memories and hearts. Five years ago, our family decided to host an exchange student who would attend the small, private Catholic high school our daughter attended. We knew very little about China or Chinese culture and were super nervous this only child would hate living in our crazy house of eight. We weren’t sure if we should call her Yizheng or her “American” name, Sherry. Hosting Yizheng during her first year of US study abroad was much more than East meeting West. Yizheng taught us to appreciate what isn’t said in conversations as much as what is. She showed me a great snack, lunch or dinner only requires water, a few spices and noodles. She helped us understand the realities of growing up in an overpopulated country with limited resources and serious pollution concerns. She explained the difference between education in China and the US giving us a new appreciation for our freedom to choose public, private or homeschool. We spent many hours discussing politics, differing cultural ideals, values and traditions with open minds and hearts. We laughed at our common global experience of relationship struggles between teen daughters and mothers. We learned we could love and care for someone very different from ourselves. “You just need to realize Yizheng that a lot of people care about you very much and you are not alone”. Be still my heart. Whether teaching us to play Chinese poker or sharing stories of things she missed in China like her grandparents, friends from middle school, and authentic Chinese food, Yizheng slowly shifted from “exchange student living in our house” to “daughter, sister, friend”. We learned from her and she learned from us. We introduced her to American baseball, the incredible gift of Chipotle burrito bowls on a Friday night, and how much we love our complicated, fast-paced life in the US. We had a crazy year of activities, a daughter’s college graduation that included an invitation to sit in the President’s box because she was chosen to speak on behalf of the student body, and regular mundane trips to the grocery store and Target. There were highs, lows and everything in between. We shared our home, our lives and all of our family with Yizheng, and then before we both knew it, the academic year was over. Once home in China our relationship with Yizheng shifted slightly as the business of life and time zone differences made regular contact difficult. Yizheng took SAT Subject tests, AP Exams and filled out admissions essays for her applications to US colleges. We moved forward with our busy family life filled with work, school, hosting a new exchange student from Brazil, and helping a daughter buy her first home. At the end of the year, Yizheng told us she would be back to the US in the Fall to attend George Washington University in Washington, DC. Her dream of attending college in the US becoming a reality. Today, we continue to keep track of each other through social media, occasional messages and Skype. Life continues to move quickly and teenaged girls grow into young, professionals seemingly overnight. What I am so grateful for today, what I will never regret, is our family’s choice to enter into the act of citizen diplomacy and volunteer to host an exchange student. It has helped us grow as people, increased our world view and greatly improved our understanding and appreciation of diversity. 3) Serve as a host family for a full academic year (10 month commitment). Become a positive influencer in global relationships. Host with AYA and help bring the world together, foster understanding, and act as a bridge toward world peace. You will provide your family with an incredible learning experience and discover that “There are a lot of people who care about you…”. So Why Should I Host an Exchange Student? It’s that time of year again. Time to start recruiting AYA host families and matching them up with the perfect student. I know what you are thinking….WHY would I want to host an exchange student in my home? Isn’t that a bit……crazy? Well, crazy maybe, but here’s my top 10 list as to WHY you should let go and be a little crazy. Seriously, your natural kids will behave better (for about a week or so) and you and your partner will be kinder, gentler, and more understanding with each other. After all, you want your family to be a model family/ home. You are representing the USA to someone from another country. Too much pressure? Read on. I cannot believe how many more people my family has met because we happen to host exchange students. Sure, we meet students from around the world, but since we are the hosts of the local “celebrity” in town, so many people know, or know of, the exchange student. Recently we visited the local Chipotle, paused in reading an order from a text message because it read the ambiguous “meat” as an ingredient. Interrupting our discussion regarding what “meat” could mean, the burrito craftsperson said,”Oh if this for Mirko (Italian exchange student) he will want chicken”. What is this life? Truth! Culture is one of those often innate, generally subtle influences in our lives that we interpret as “reality”. We don’t really have to think about why we do the things we do past the age of 3 or 4. Just like having a preschooler in your midst questions your every action, word and thought, hosting an exchange student will bring up questions to things you never really considered. Why do you eat pizza with your hands? Why are the eggs white? What do the pink ribbons on cars mean? What’s the difference between “pop” and “soda”? It’s fascinating stuff! How many times have you said, “Yeah, we need to visit the Rock and Roll Hall of Fame/ Art Museum, National Park…..” but failed to make time for it in your schedule? Having a deadline (like the end of an academic year with an exchange student) will provide you the necessary motivation to schedule in some fun with your family. No more putting things off for another week, you only have a few weeks to share with your exchange son or daughter and you need to make the most of it. One Christmas while at a boring family reunion, our kids entertained themselves by playing “Chinese poker” thanks to Yizheng, our Chinese exchange student who just happened to bring along two packs of playing cards and the knowledge of the game. This past Christmas break we played Tombola (An Italian game similar to Bingo). Our family has learned lots of traditional family games from other cultures because the exchange kids introduce them. Great fun! Not a fan of soccer, you will be. Most of the world LOVES soccer like nobody’s business. Your exchange student’s enthusiasm will be catching and before you know it, you will be in your backyard engaged in your own version of the World Cup (USA vs. ?) It’s your choice! Not sure where Kazakhstan is? Wonder what life is like in the Ukraine? Concerned about life in the middle East or the number of Syrian refugees in Europe? Living with a student from another country will provide the opportunity to learn about the world in a new and exciting way. Car rides and family dinners will have the potential to help your world view evolve and your understanding of diversity expand. That’s a good thing. Exchange students love to share their culture and for most of us culture easily equates to food! We’ve enjoyed Nutella in large quantities before it graced the shelves of Target and learned that most every culture has some form of food in “pockets”. Seriously. Chinese dumplings, Pierogis, Ravioli, even Quesadillas, crepes or burritos are all excuses to hide deliciousness in a doughy substance and serve it to your family. Fast food from home will take on a whole new attitude as your epicurean palate expands with the help of your exchange student. 2. Your little kids will have the BEST show and tell ever and your older kids will have a live-in foreign language tutor. Having a real live person from Spain to share with your class on World Cultures day at Elementary school is pretty awesome. The same goes for cramming for the French test with the help of your live-in native speaker tutor. Exchange students always want to improve their English, but in exchange (pardon the pun) they are always willing to share their culture, language and history with others. It’s a win-win. China, Brazil, France, Germany, Spain, Italy, Morocco…..these locations are no longer abstract blobs on a map, but the homes of Yizheng, Gabriel, Guillaume, Leoni, Javier, Mirko, Meriem, Alice and Letizia. My husband, kids and I can’t wait to visit these places and have our own personalized tour guides, but for now, we know our family is literally all over the world and we love it! To start your hosting adventure visit Academic Year in America and fill out a host family application. A Special Thank You! to DMNicholson at Baguettes and Boarding Passes for nominating my blog for this “newbie” award. Although, I’ve been around the blogosphere for a few years, I still get excited every time someone likes a post or encourages me in my writing. If you like travel, food and culture, you will want to check out Baguettes and Boarding Passes. It’s a pretty awesome blog too. In the spirit of this award, I would like to nominate Just Add Culture: Stories From Academic Year in America. Their blog launched yesterday, May 27th! They deserve this award because they are the awesome non-profit organization that brings together host families and exchange students from around the world year after year. A part of the American Institute of Foreign Study, AIFS, AYA is committed to “promoting worldwide understanding through cultural exchange”. Cultural Exchange = World Peace. So Kudos AYA! You have just received your first blogging award!!! 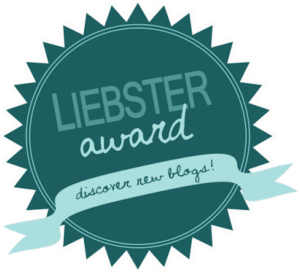 Grab the Liebster from my page, post it on yours, then nominate one of your favorite new blogging friends. 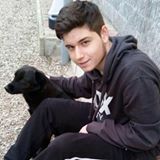 Mirko is coming soon to stay with our family for 10 months thanks to Academic Year in America. We are making great plans for learning about Italian culture (especially the food) and introducing American culture to him. For now, we text through WhatsApp and like each other’s Instagram and Facebook posts. We even managed to Skype once too. We are all getting excited and counting the days until Mirko arrives in the USA. 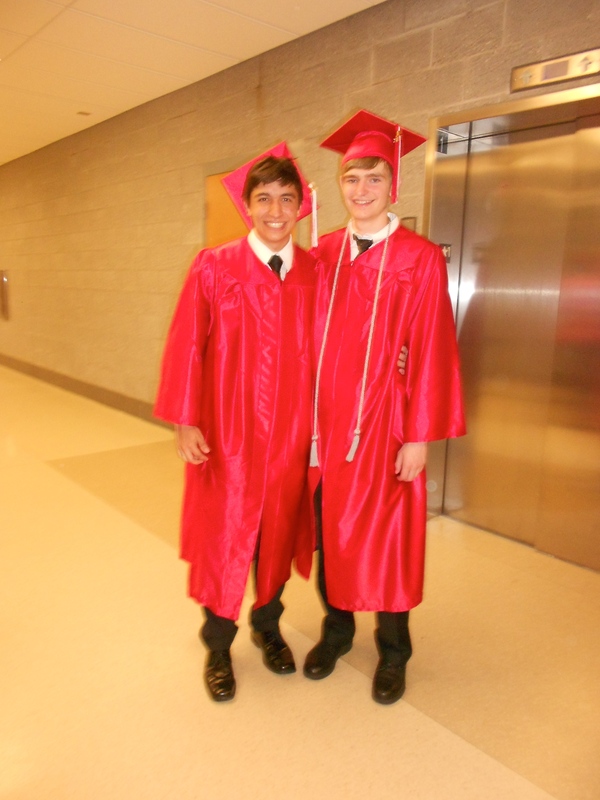 Gabriel was given the opportunity to participate in the Baccalaureate and Graduation ceremonies of our local high school to complete his Academic Year in America. It was a special time for our family to witness Gabriel’s accomplishments, and to recognize all the work we accomplished learning and growing as a host family. Since the last time I attended WHS graduation was in 1982 when I graduated, I didn’t know about a new special tradition that was part of Baccalaureate. Near the end of the service, the Seniors stood up from their seats, walked to a bucket of red carnations, and then carried as many carnations as they wanted, to present to the people in attendance who helped them the most in completing their education. 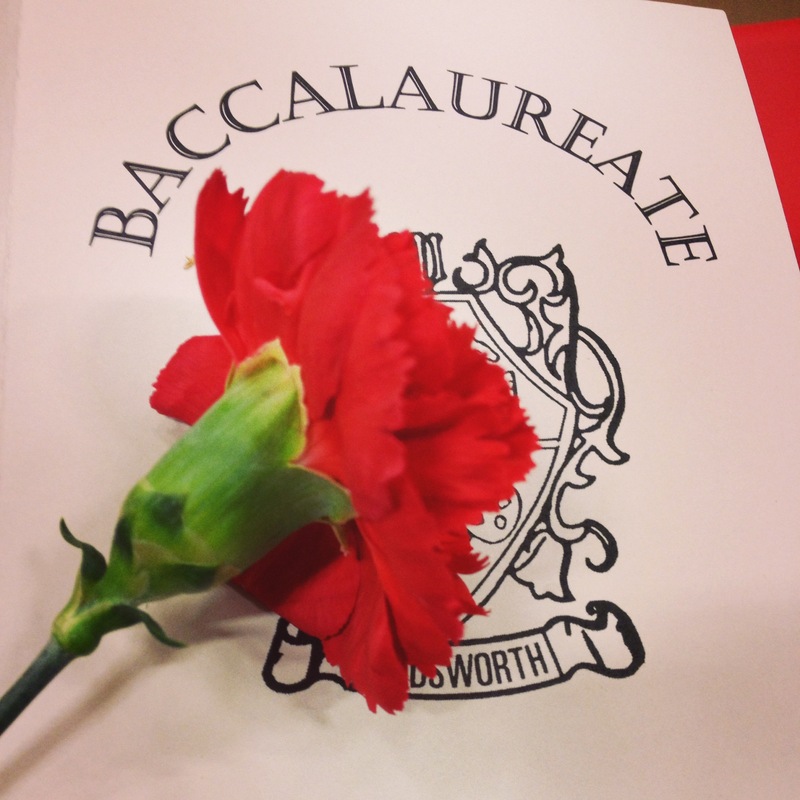 Teachers, parents, grandparents, and friends all received special recognition with these flowers. Gabriel gave his flower to me. Graduation day was picture perfect. The sky was blue, the air warm, and inside the WHS gym there was a sea of red caps and gowns. After the ceremony, it felt like the entire city was present in the hallways and cafeteria/ commons areas as we all searched to reunite with our honored graduates. Gabriel met up with our neighbor, one of his new best friends, to take one last photo as a high school student. 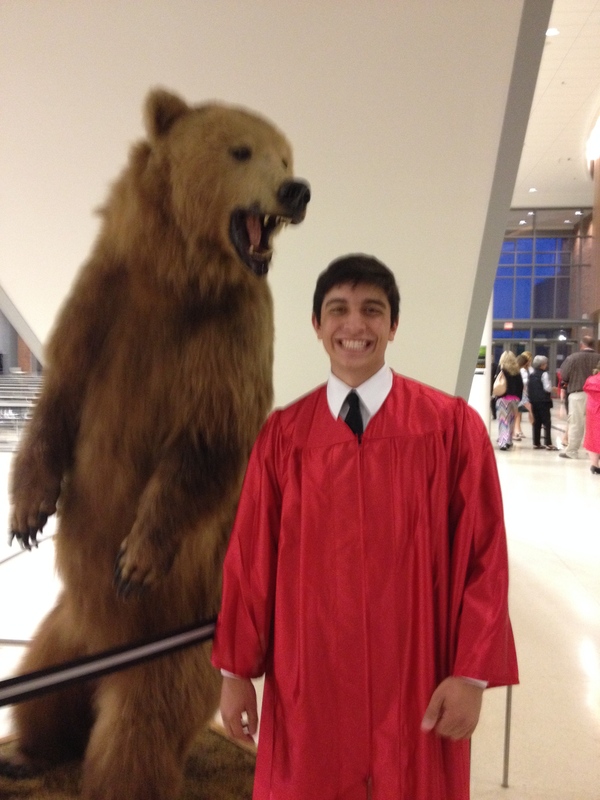 We even made him pose with the school mascot, the Wadsworth Grizzly! It’s been two months since that wonderful weekend of honoring accomplishment. 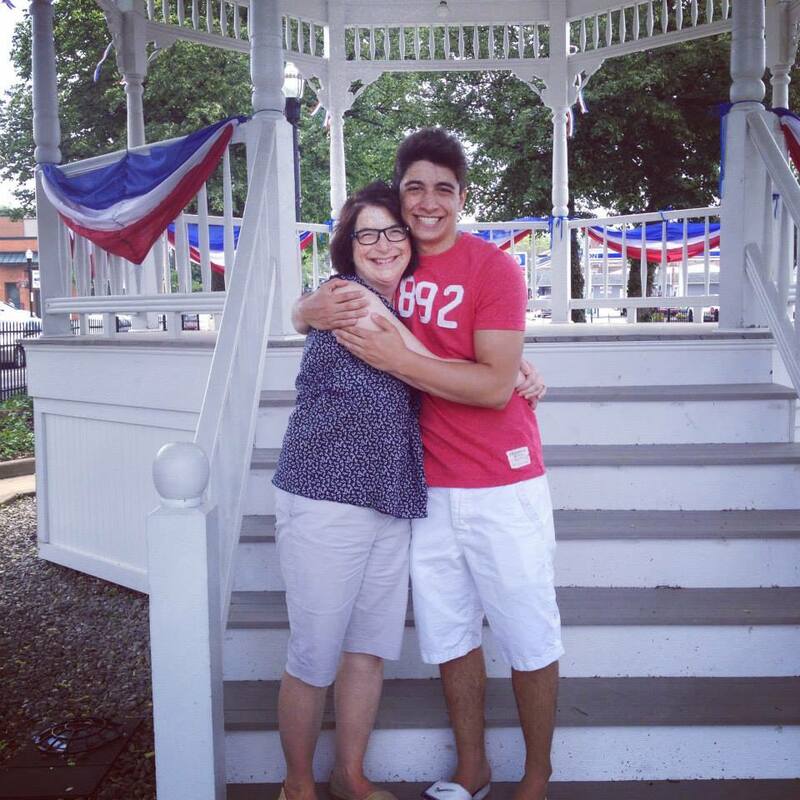 Gabriel was able to stay with our family for one week after graduation. 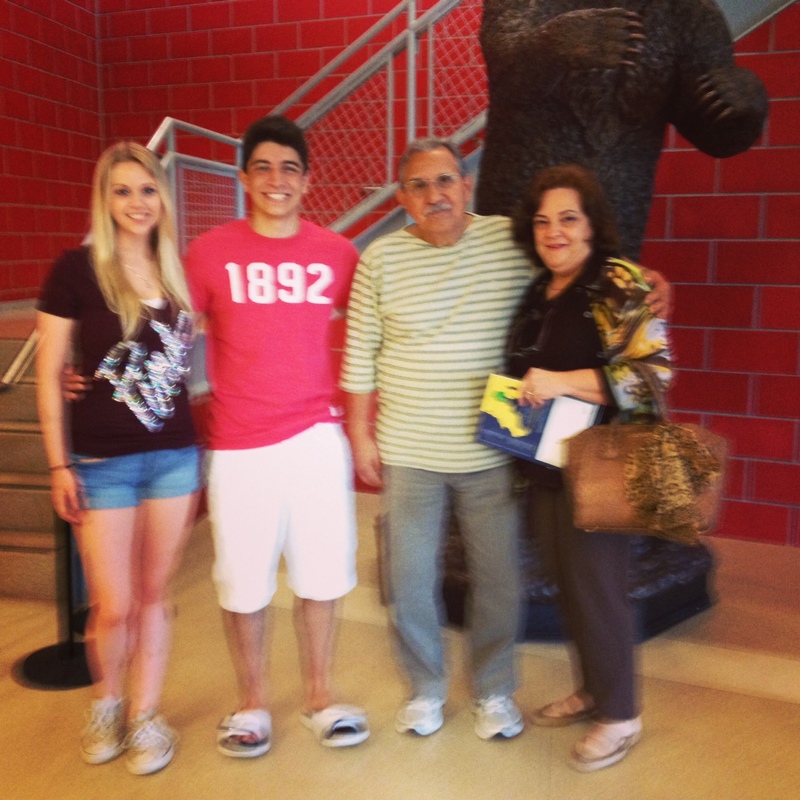 His grandparents came from Brazil to meet our family, and to see where their Grandson had spent his school year. It was an incredibly meaningful, and deeply moving experience to meet them. His grandfather told us we would always have a place to stay if we visited Brazil. He thanked us for all we did to help his grandson meet his dreams. He said he saw that Gabriel now had a true American family. There have been many tears shed since we said our goodbyes. Gabriel is back home in Brazil, and we are texting nearly every day through the help of WhatsApp and our I-phones. We don’t know when we will reunite in person just yet, but whether its through Skype or travel, we know distance is not enough to separate our International Family.